How Far is Cyber Homes Lake Vision? Lake Vision is perfectly placed on the Growth Corridor, located near to outer ring road. Welcome to explore one of the best residential projects in Manchirevula, Hyderabad, destined in one of the most sought-after locations in Hyderabad with a beautiful picturesque view of the Timber Lake, the project fulfills all the needs of the residents. 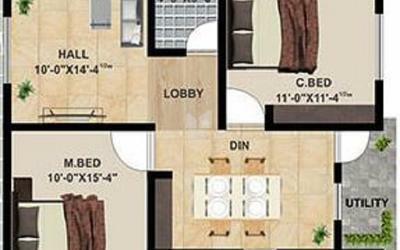 The project is a perfect combination of elegance and comfortness. located in the serene environ the project has all the feature which you were seeking in a home which you can call it as your dream home in Hyderabad. 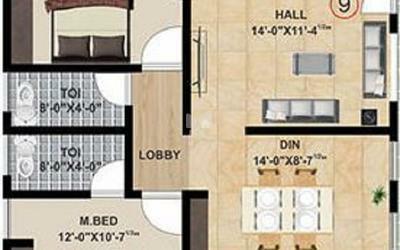 The project offers the apartment for sale in Manchirevula, Hyderabad, where 2BHK apartments super built-up area size varies from 1035 Sq ft, 1145 Sq ft and 3BHK apartments super built-up area size varies from 1360 Sq ft to 1605 Sq ft. which are loaded with all the features and facilities. Each corner of the project is elegantly crafted with high-quality constructions, fittings, and materials. 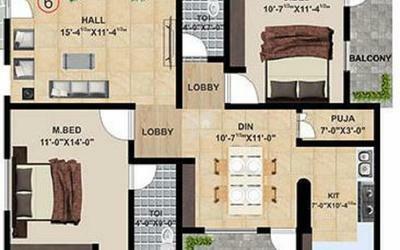 Cyber Homes Lake Vision is located in one of the best locations to home in Hyderabad, at Manchirevula. The Location of the project is situated near to all the civic utilities and to Financial District, you can reach Kokape, Gachibowli, Hitech city, and major IT hubs very easily. Cyber Homes Lake Vision provides apartments for sale in Manchirevula along with amazing amenities, some of them are gym, banquet hall, CCTV, intercom, children's play area, rainwater harvesting system and parking. RCC framed structure with ready mix concrete M 20. Earthquake Resistant with plinth beam as per HMDA standards with Termite proofing. Red clay brick work in cement mortar walls of 9” thickness outer wall and 4 ½” thick inner walls. INTERNAL: Double coat cement plastering with sponge finish and luppam finish. EXTERNAL: Double coat cement plastering with sponge finish. MAIN DOOR: High quality Teak wood frame & shutter, polished, fixed with good quality hardware accessories. INTERNAL DOORS: Good Quality Teak wood frame with flush doors. WINDOWS: UPVC Windows+ mosquito mesh panel shutter using suitable sections of reputed make with safety grills and glass shutters. INTERNAL: Plastic emulsion painted up to two coats for a superb finishing and look, over a luppam finish. COMMON AREA: Oil Bound Distemper painting done tidily. Vitrified tiles 2' X 2'. With 4” dadooing. Common Area: Granite Flooring in Corridor & Staircase with 4” dadooing. Parking: Cement Tiles or Interlocking Pavers of best quality will be provided. KITCHEN: Ceramic tile dado up to 2 feets height above kitchen platform. UTILITY/WASH: Glazed ceramic tiles dado up to 2'-6' height. Lift Entrance at all floors to be dadoed with granite to full height at all levels. Granite platform with steel sink with ground & municipal water connection provision, Exhaust Fan Provision. E.M.C in Master bedroom with flush tank. I.W.C for Other toilet with flush tank. Hot and cold water mixer with shower provision for geyser in all bathrooms. All fixers are C.P. coated best quality standard branded makes. Concealed copper wiring of standard make (ISO certified). Switches & Plugs of standard make. Power outlets for A/C in all bedroom. Plug points for TV. & Audio systems. 3 phase supply for each unit and individual master boards. Power plug outlets for cooking range chimney, refrigerator, microwave oven and mixer grinder in kitchen. 2 Lifts of Standard make. Acoustic generator of Standard make. Backup for 2 lights and 2 fans in Hall and Master Bedroom in all flats and Total common light points, and Lifts..
CC Cameras Covering Parking & Common Areas. Intercom Connecting all the flats. Cybercity developers stared its journey decade ago, all the constructions of the Cyber developers are constructed with different kinds of conceptualization and construction that are unique and different. The homes built by Cyber Developers are the best in class everything with a surprising range of ideas. The company has a group of talented workforces of engineers and expert in different fields of the construction business. Creativity and feasibility are the focus of the Cyber developers. The projects from Cyber developers are built with elegance, quality. people looking for an apartment in Hyderabad now have an exciting option, Cyber Homes Lake Vision and Shanti Nilaya. Where Cyber Homes Lake Vision consists of all the facilities and features which are required by the residence. 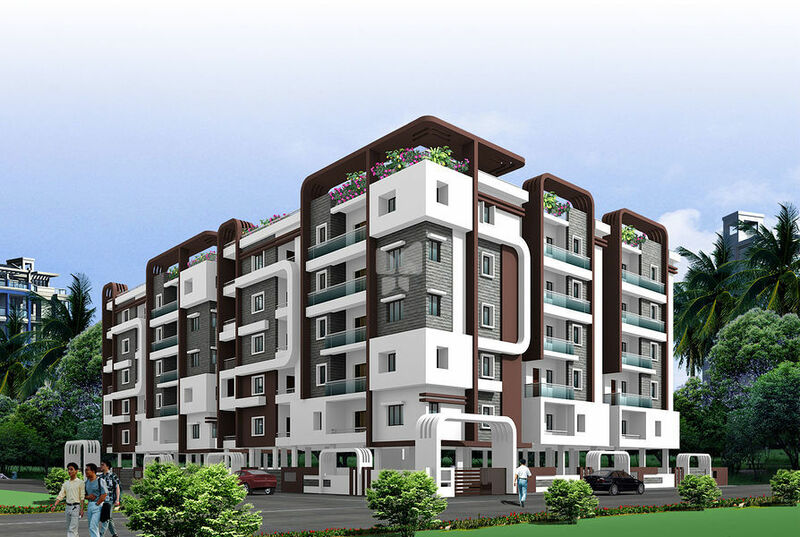 The project is located in Manchirevula and offers 2BHK and 3BHK apartments for the dwellers and Shanti Nilaya is one more project of Cyber Developers where you can find 2BHK and 3BHK apartment build with elegance. Both the projects of Cyber Developers are built with high-quality materials and provides best in class facilities.